It looks like the Inhumans movie is no more. Marvel has just announced that, seemingly instead of seeing the adventures of Black Bolt, Medusa, and the Inhuman royal family as a movie, they will now appear in their own TV show on ABC. The series will be co-produced between Marvel, ABC, and IMAX—and in a strange move, will sort of still be a movie event for Marvel next year. The first two episodes of the show will premiere worldwide across IMAX-compatible theaters with a two week exclusivity window, before airing on ABC in the fall of 2017 as a weekly series. According to sources speaking to The Hollywood Reporter, The Inhumans show’s first season will run for eight episodes, and the series is not considered a direct spinoff of the events of Agents of SHIELD. 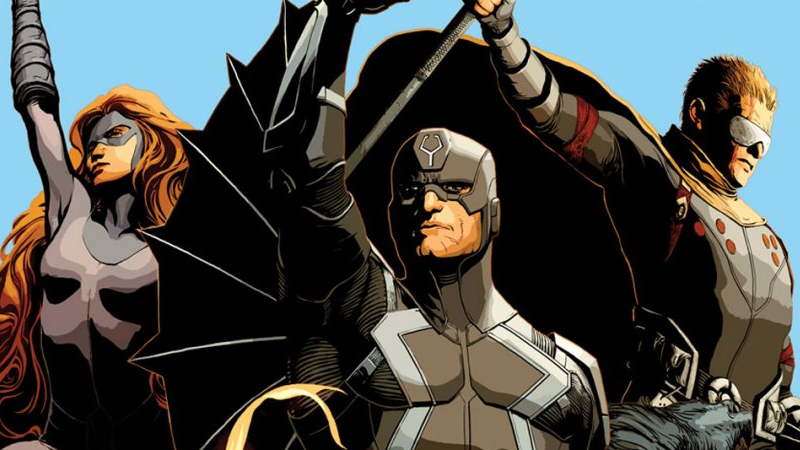 That is presumably because although the Inhumans as a concept have slowly begun to be introduced on TV through Agents of SHIELD, that world will be blown right open in the Inhumans show—which will indeed tell the story of Black Bolt and the Royal Family, according to the press release provided by Marvel. No other character names were mentioned beyond Black Bolt, but expect the likes of Medusa, Crystal, Gorgon, and more to be joining the series. Maybe even Lockjaw, if we’re lucky. If we’re even luckier, Lockjaw would go on to join a hypothetical Ms. Marvel Netflix show. Pretty please, Marvel? It’s a move that isn’t, in hindsight, all that surprising— especially since Kevin Feige basically let the news slip just over a week ago. Marvel has been reticent to offer updates on the Inhumans movie, originally due in 2019, even as the movie was quietly stripped of its release date earlier this year. There were even rumors earlier than that news claiming the film was being killed off, but considering how heavily Agents of SHIELD has leaned into developing the Inhumans mythos, it makes sense to continue that worldbuilding with the primary Inhuman characters of the comics on TV. In a more cynical worldview, it also very conveniently cuts off the biggest connection the TV side of Marvel’s “shared universe” would’ve had to the movies—further isolating the two sides of the Marvel Cinematic Universe in such a way that now the movies rarely have to, if at all, acknowledge the existence of the shows. We’ll bring you more on the Inhumans TV show as and when we learn it.